Skippy’s Bar and Grill: Ripper Tucker, I Reckon! 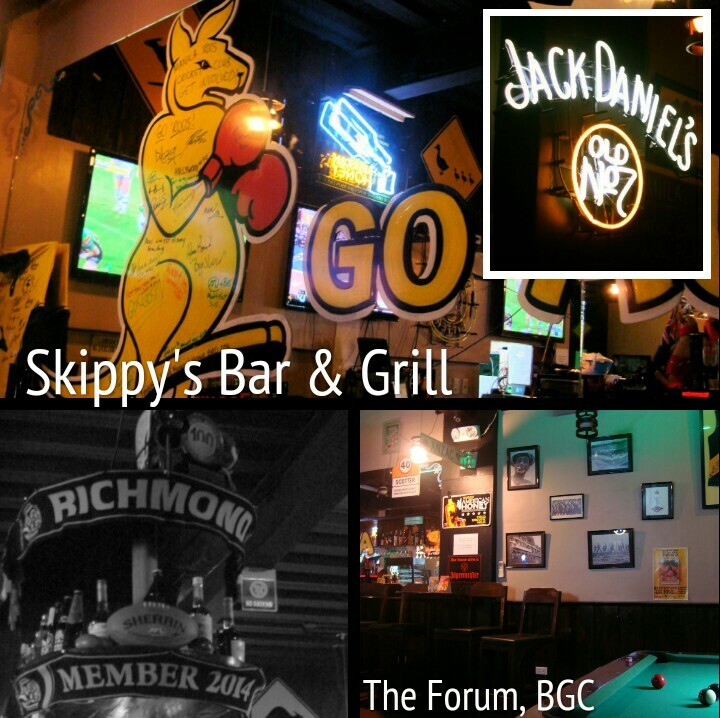 If you bludgers want to bog in and get some Ozzie grog and footy, Skippy’s (The Forum, BGC) is the boozer for you. It’s a spiffy joint for earbashing, billiards and booze. There’s a roo on the wall too—so give it a burl why don’t ya? 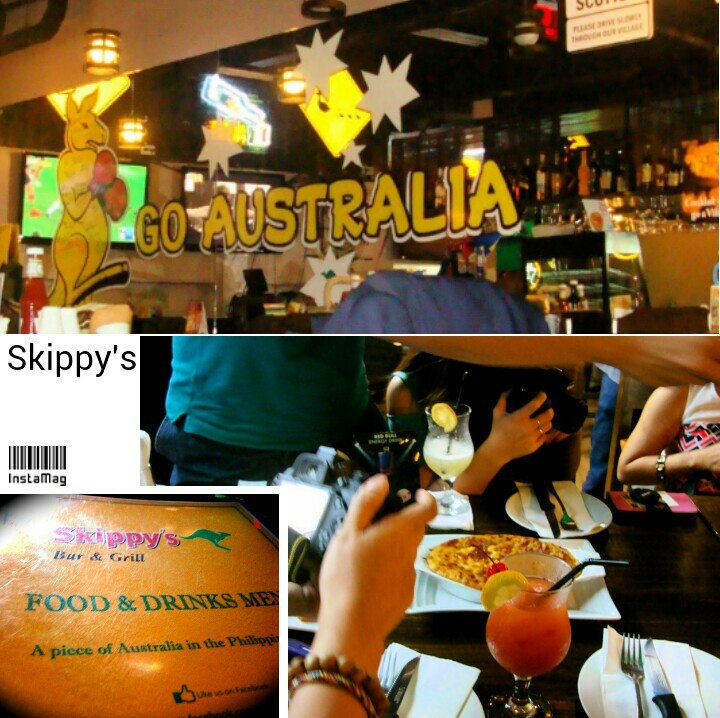 Seriously, Skippy’s Bar and Grill located at the Forum BGC is the dinky-di (real thing) if you are looking for Aussie grub and drinks. 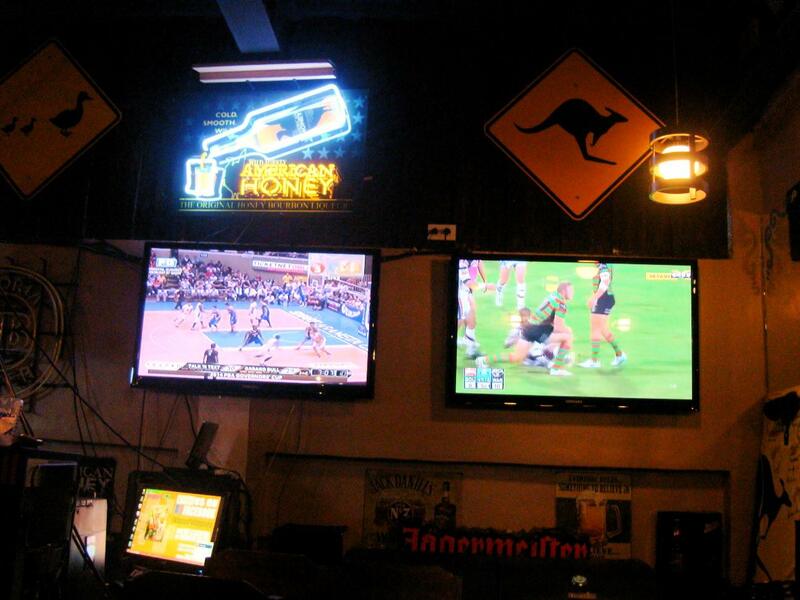 It’s the place you go to after work to unwind, grab a pint, watch a game or just get the billiard table humming. It’s at the GF of The Forum, BGC, so if you want to run on the grass or just get some sun, you’re at the right place! 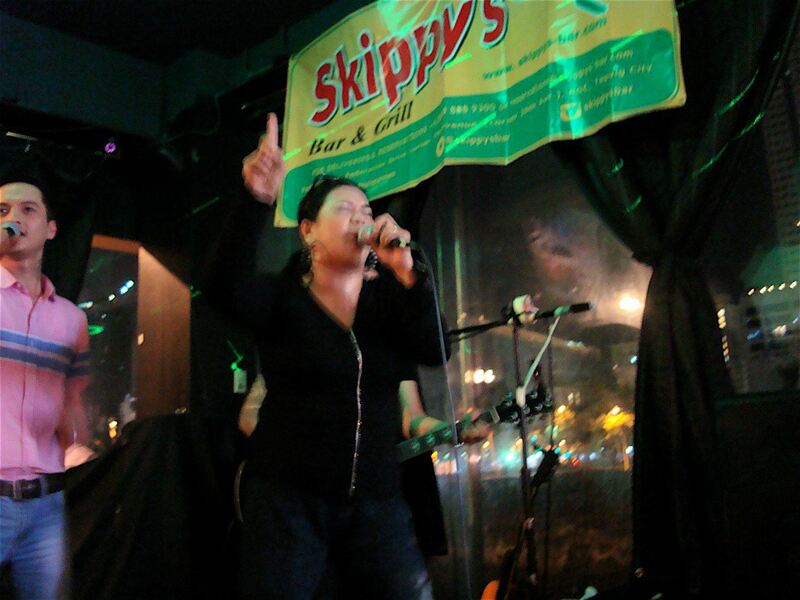 What’s ripper about Skippy’s is that they’ve got nightly bands too on a rotating basis, so if you’re tired of balls and bar fights, you can just chill or sing along (if they let them blokes). The place is practically adorned with Australian relics, road signs and whatnot, it’s like taking a dive Down Under, and that’s even before the grub came. 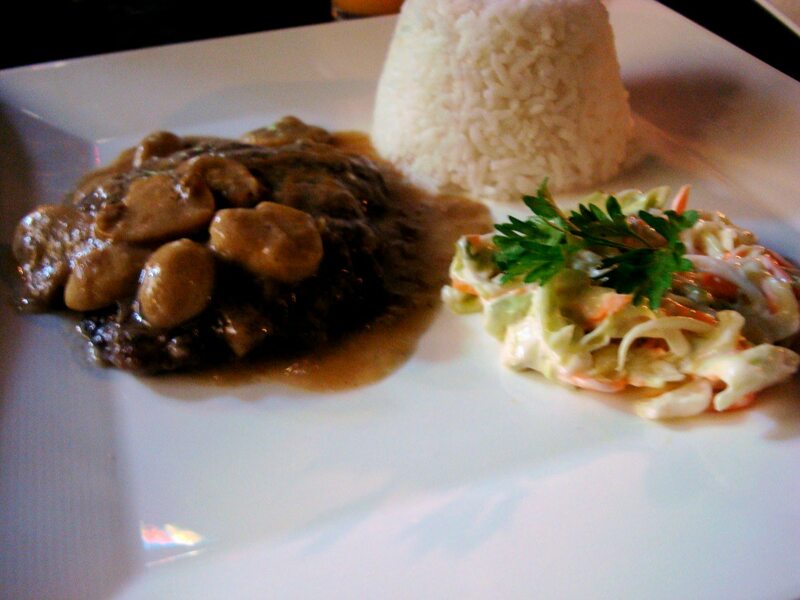 Skippy’s Bar and Grill specializes in Australian food, which I knew nothing about beforehand. I had imagined skewered roos or beer battered vegemite—or anything with vegemite for that matter—but they’ve got the usual fares, like pizza, salad and meats with some Australian flare—deep fried, heavily battered and big on breakfast! 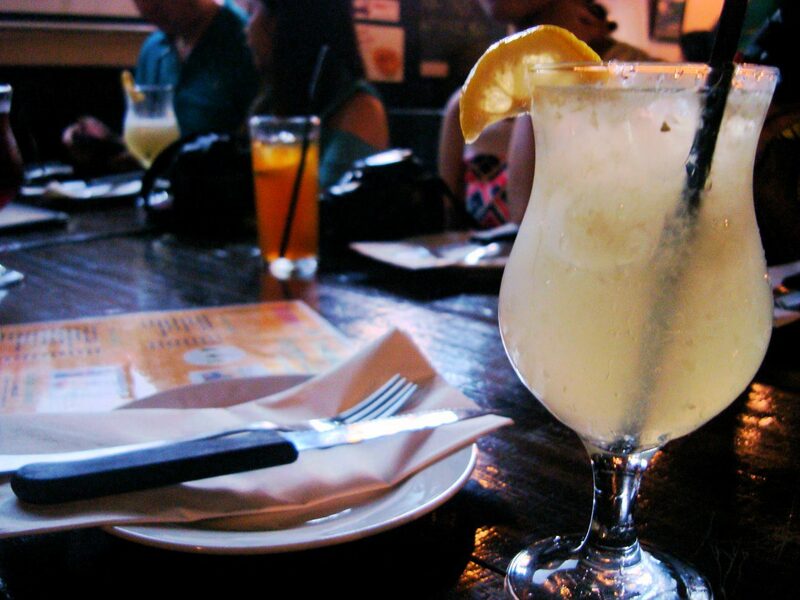 If you’re big on drinks, Skippy’s menu will also not disappoint. It probably allots a half its menu pages on drinks, cocktails and liquor. Non alcoholic drinkers (like me!) will go crazy too over the choices on fresh fruit shakes and juices. 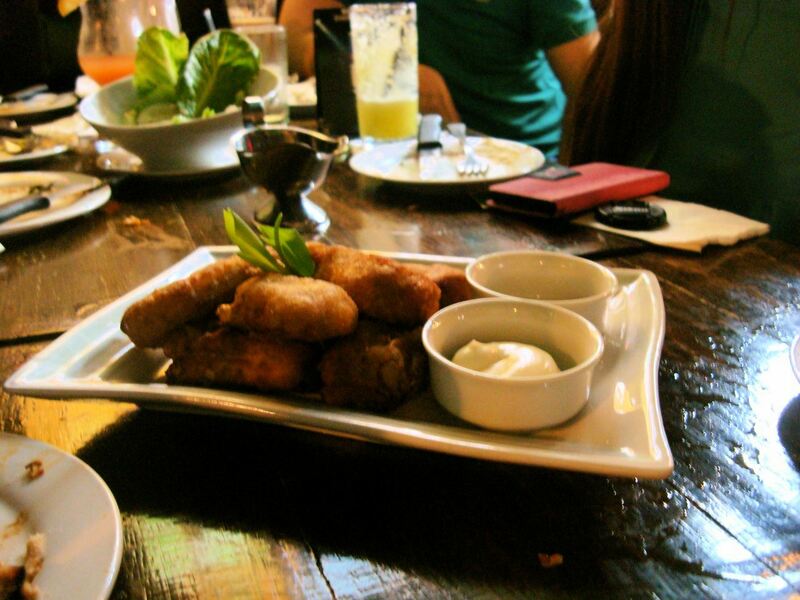 Personally, that freshly squeezed lemon juice was just so “Good onya” it went well with the deep fried fares. 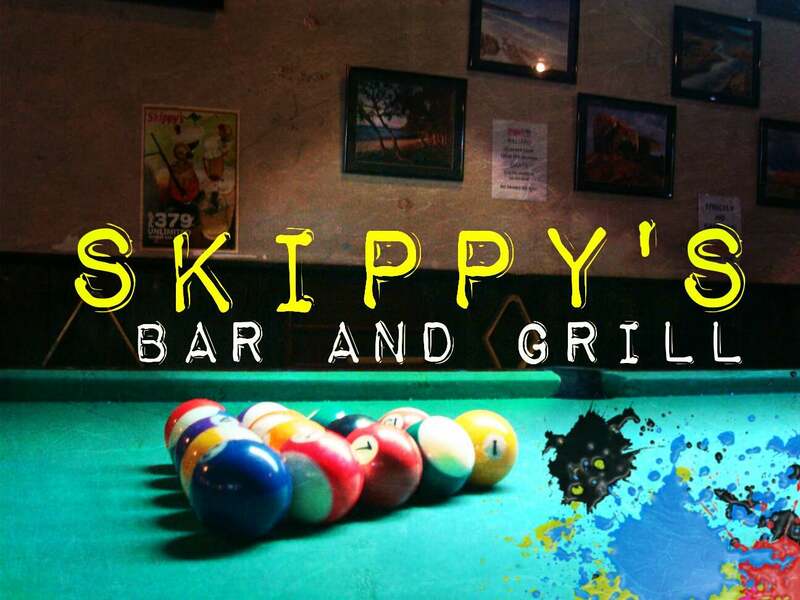 Skippy’s is not just a bar with a billiard table; its TV screens are dedicated to showing sports shows, including the World Cup. Did I say World Cup? Indeed the bar intends to stay open during the wee hours to show the 2014 World Cup because there are a lot of fans, and heck, a lot of them who are already sick of streaming and eating just popcorn! But back to the food. As mentioned, Skippy’s has this whole barrage of Aussie food and snacks, it’s not just a footy affair. 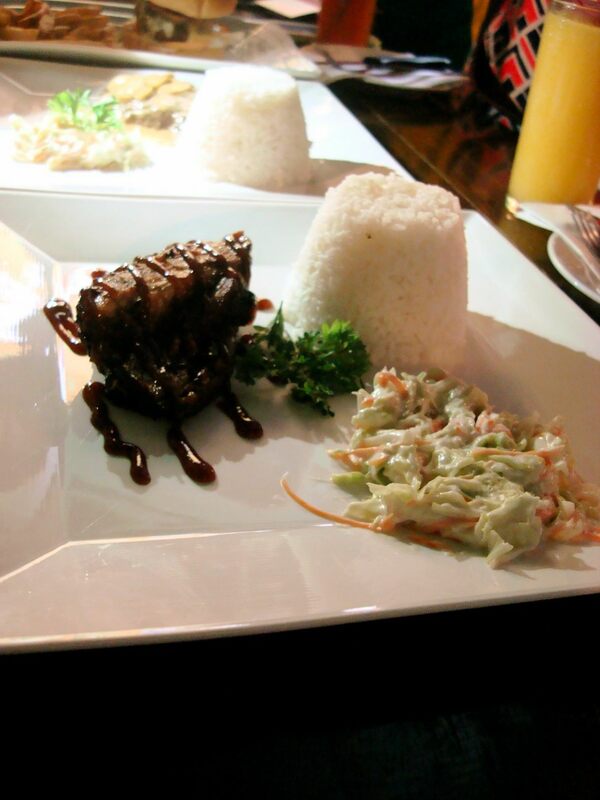 It’s got breakfast, salad and even rice meals; craving of any sort, including lamb or tapa, is guaranteed to be solved. Breakfast platters for the hungry! Big Breakfast has 2 eggs, bacon, sausage, baked beans, tomato, mushrooms, hash brown, toasted bread, and butter. 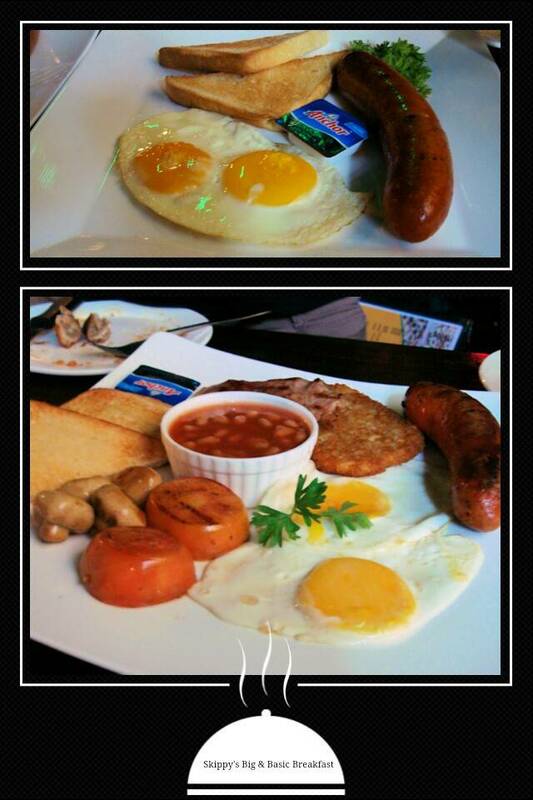 Basic Breakfast is, well, a subset of the big one, as it depends on your appetite. Not limited to mornings. 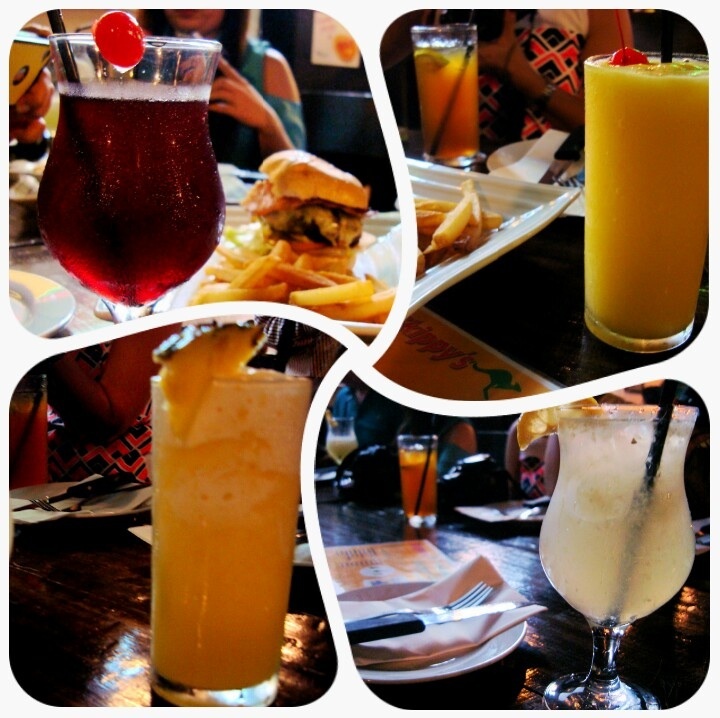 Drinks Galore! Too many to mention but personally, as a boring drinker (aka non alcoholic), the fruit and juice selection is sufficiently well stocked. The Greens are in. 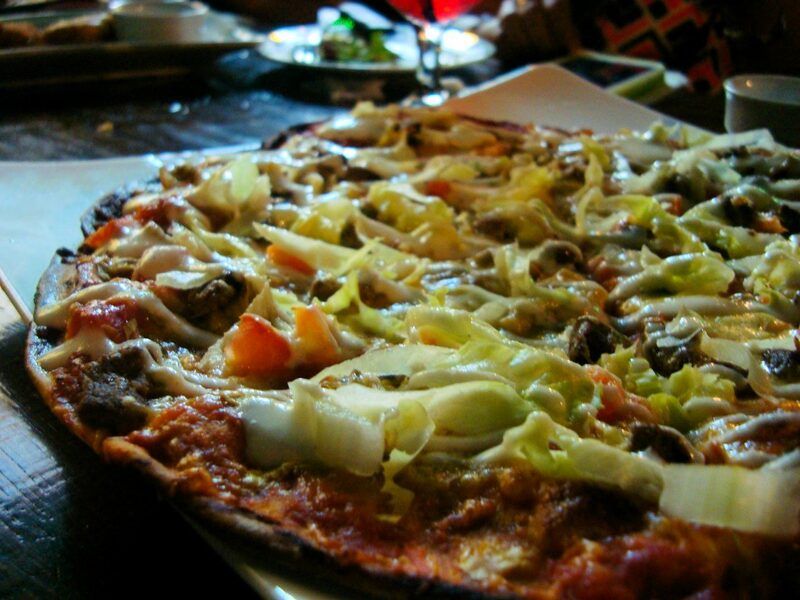 Part vegetarians and dieters have something to rejoice about with the salad selections. 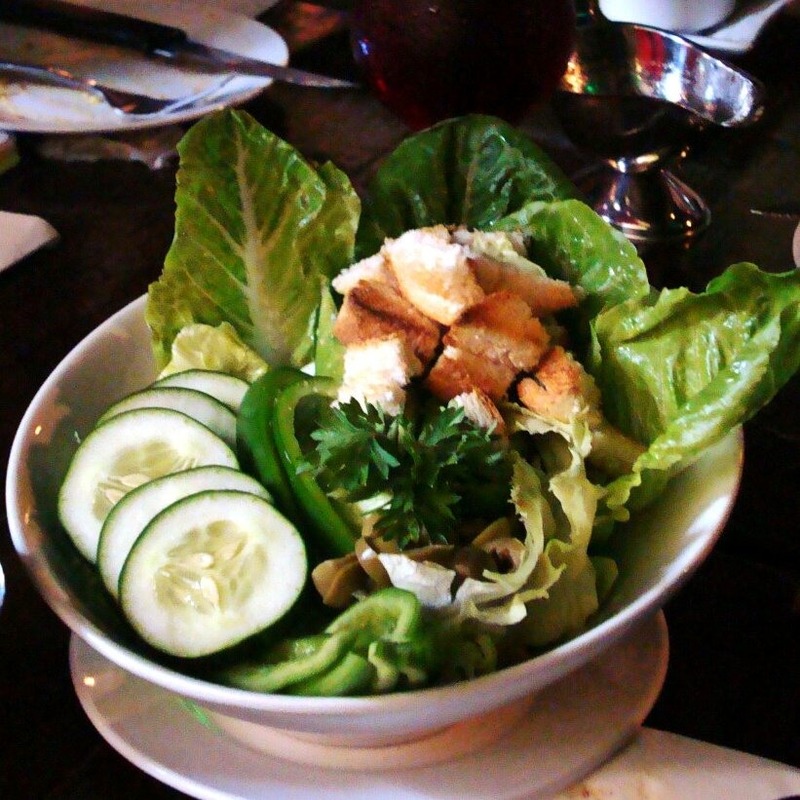 Skippy’s Salad – Fresh lettuce, veggies with egg, grilled chicken and cheese, served with homemade dressing. 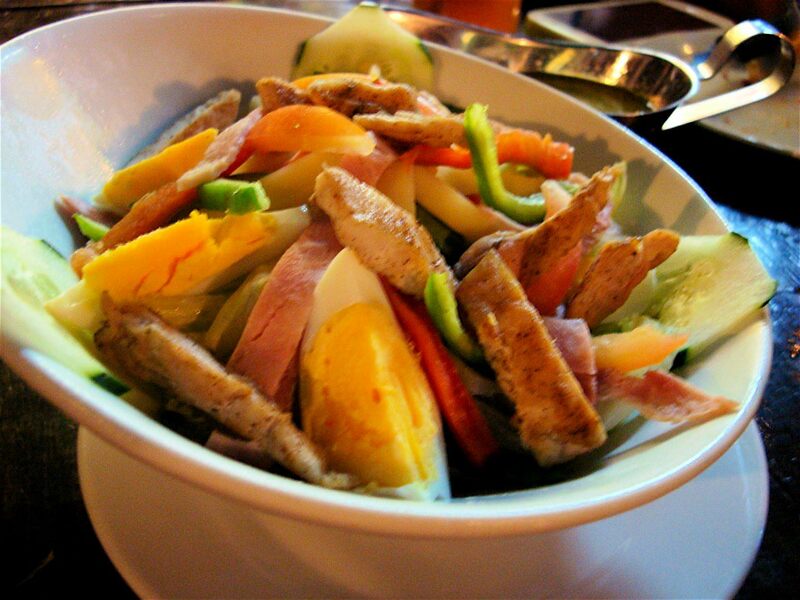 Green Salad – Fresh lettuce mixed with assorted green vegetables and tossed with cheese, ham and egg, served with home made dressing. 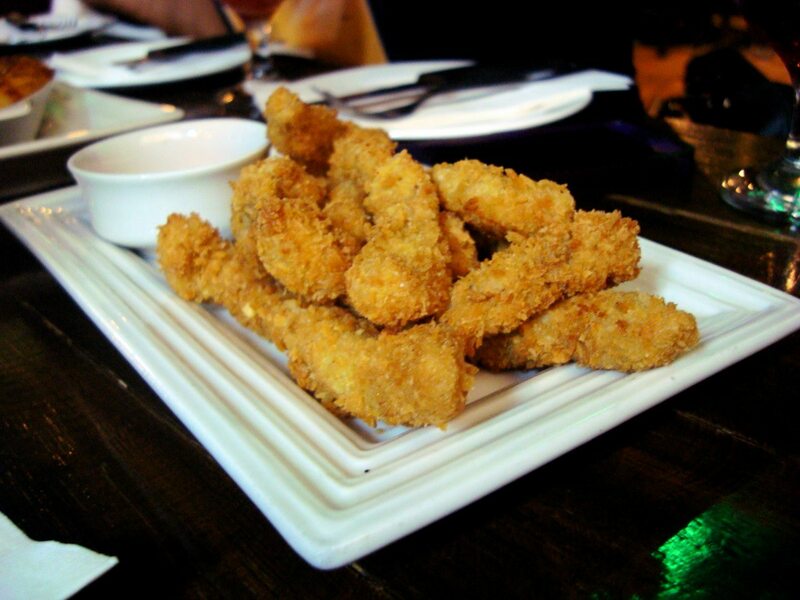 Spicy Chook Fingers – Coated breast chicken fillet fingers. Best served hot and eaten with… your fingers! 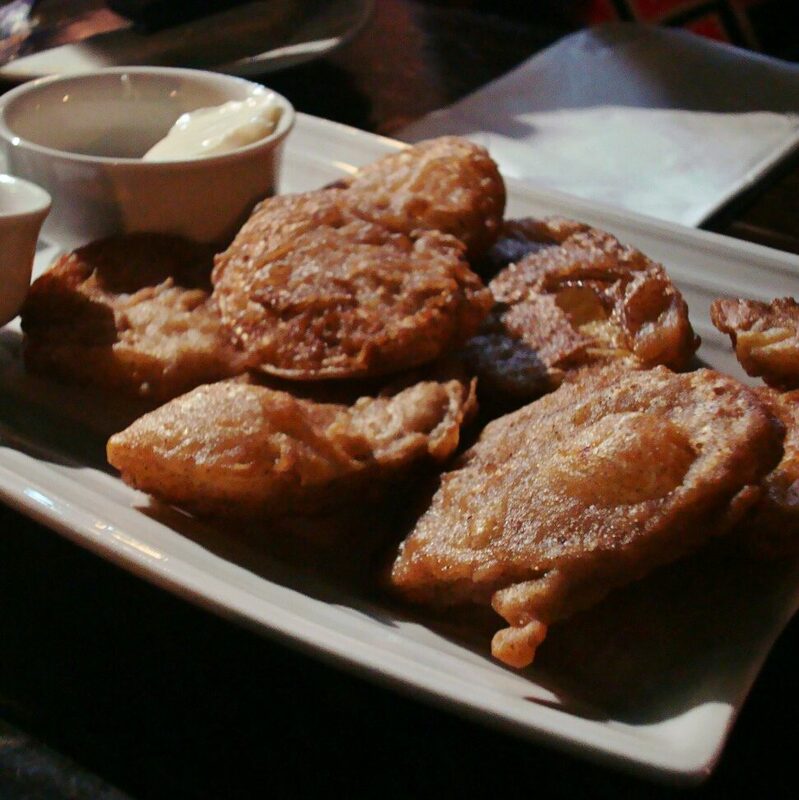 Potato Scallops – Such wondrous deep fried spud creation. Golden crisp and sprinkled with sea salt, it’ll be your number one spud serving! 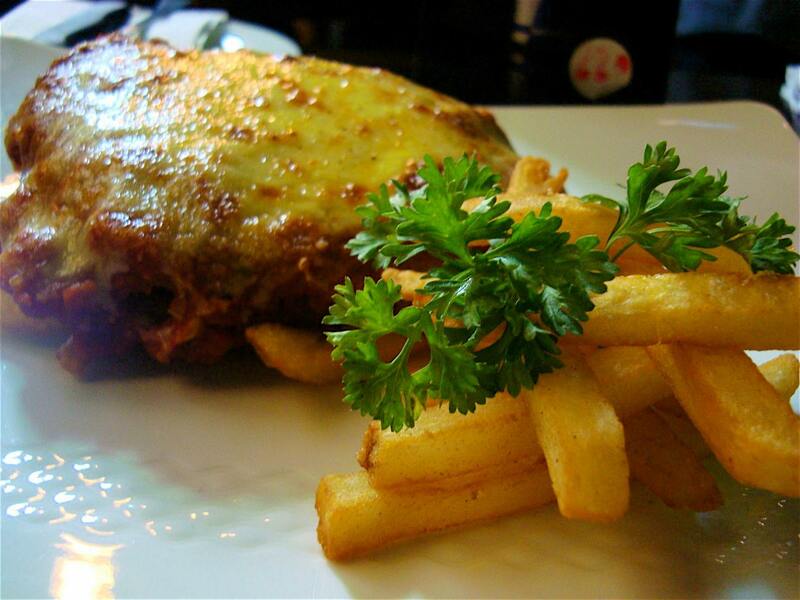 Chicken Parmigiana – Tender cheese and crumbed chicken are topped with homemade tomato sauce and grated cheese. 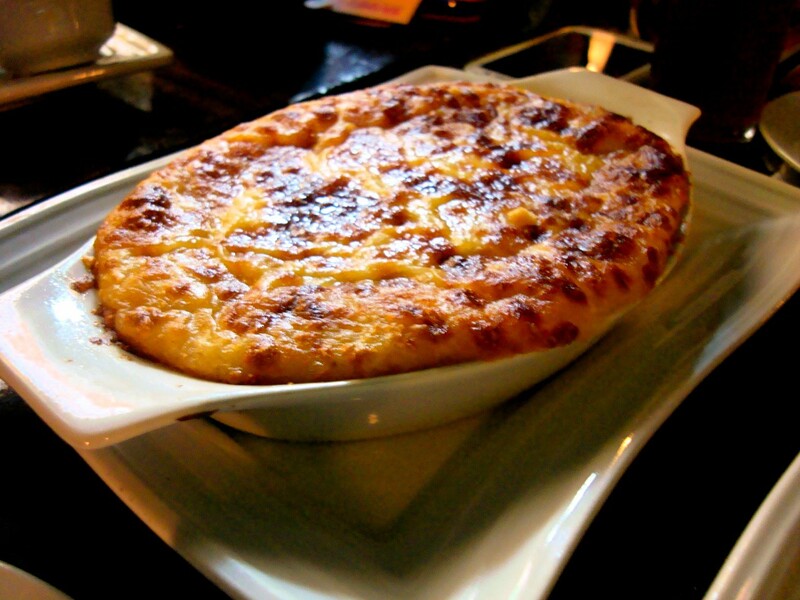 This one was a winner since it combined all that cheese and chicken goodness with chunky fries–comfort food variety! It’s a lot to bog in, yeah? Give Skippy’s a burl and while at it poke some balls or chill with the band. 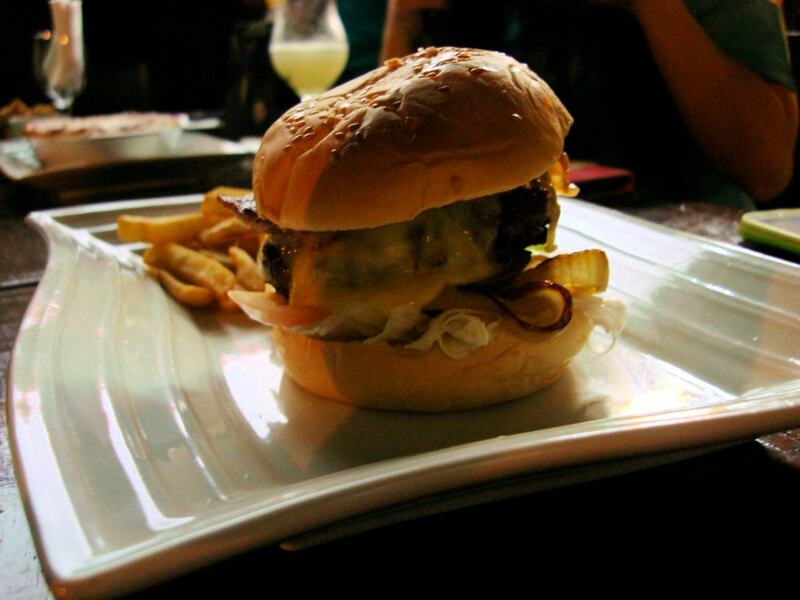 It’s a sport bar for real, right in the middle of BGC–with a live band inside and grass outside, so it’s got all the elements of fun and frolic. If, like me, you insist on having Vegemite Sanger (Sandwich) on the menu, you can make suggestions in their FB page or Instagram account. I reckon, with Skippy’s own set of sanger, desserts and whatnot, you’d forget about Vegemite entirely. I sure did. Are YO hungry for FALAFELS? For violent reactions and nasty opinions, you can email me at kalineko16@gmail.com. For a less professional mode of communication wherein proper punctuation is not required, you can follow me at Twitter: @LazyBlack_Cat.